It's been a big day for Power Rangers fans. Lionsgate held a Q&A panel at NYCC earlier today, where the first trailer debuted to cheers from the crowd. Now, we have news that another fan-favorite character will be returning in this big screen reboot. Yes, that's right, we're going to see the triumphant return of Goldar! Though there have been 19 different versions of the TV series, the first of which debuted in 1993, the new Power Rangers movie falls most in-line with the original show. Prior to this big screen reboot, there were two other movies released to theaters, but this new one is a modernized remake of the true Mighty Morphin mythos. And as such, it includes the original characters of Jason, Zack, Billy, Kimberly, and Trini. We're also getting a new take on Rita Repulsa, played by Elizabeth Banks. With Zordon and Alpha 5 also back in the mix. Until now, no one outside of the filmmaking crew was sure if Goldar would be returning in all his glory. But now his presence in the 2017 Power Rangers has been confirmed. Director Dean Israelite broke the news at Saturday's NYCC Panel, which was later reported on by Screenrant. While we don't get to see Goldar in the first teaser trailer, his presence will be revealed quite soon in future teasers and trailers. 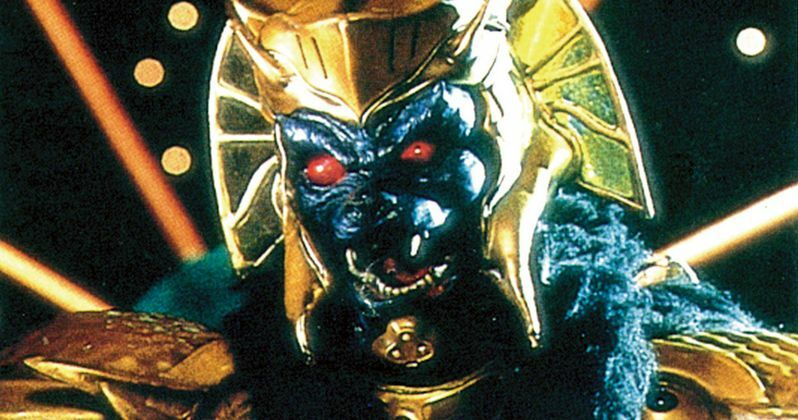 Goldar has fought the Power Rangers in more than one incarnation of the TV series, and he's usually seen as Rita's second-in-command. As of now, there has been no mention of Goldar's sidekick Scorpina. Perhaps that ghoul is being saved for the sequel. The teaser trailer didn't really show too much, and as such, delivered the true definition of the word teaser. We get to meet the new high school kids who become endowed with superpowers, and we get to see them learning about their new abilities. But we don't get to see them in costume, or in action really. We did get a good look at Rita as she attacks for the first time. Fans thus far seem happy with the direction the trailer seemed to be taking. Though Rita is being played practically by Elizabeth Banks, we haven't heard who is playing Goldar yet, and chances are his griffin-like appearance will be rendered in CGI.